Roulette dealers signature is the simplest and probably the oldest kind of roulette advantage play. 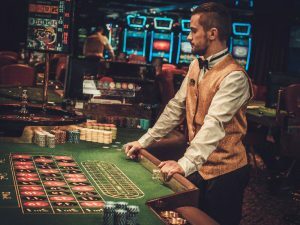 Such method is suitable for many roulette tables, where is a need to place earlier bets; as rapid roulette and some online live roulette wheels. The two-stage roulette dealers signature timer is a must for anyone seriously placing bets based on dealer’s signature and spins consistency. To bring it up to the higher level of play there is nothing new about it. Members at Roulette place forum always spot the problems, come up with ideas and find better solutions. I will only briefly explain what the roulette dealers signature is. It could make it better for whoever uses the dealer signature in casinos. Dealer signature is an unconscious habit by some roulette dealers consistently spinning the ball and wheel. Let’s say the dealer starts the ball from number 0, and the ball stops at number 34. It is about ¼ or 9 pockets of the wheel forward. Then let’s say the dealer developed muscle memory and spun the ball with the same velocity each time. We can expect the ball stops nine pockets again from the number where he starts. Of course, the ball doesn’t have to end there every spin, but it’s O.K. if it is better than 1 in 36 occurrences. In some countries, where the dealers get tips, often they may move the wheel slow and spin the ball at a reasonably constant speed. It favours dealer signature players. It’s beneficial to have slower wheel speeds but more importantly wheel imperfections. A typical roulette wheel often may have a dominant ball drop point involving one or 2 diamonds that may help if the ball makes plus or minus ¾ of rotation. Such conditions we define as a tilted roulette wheel. The truth is the wheel doesn’t have to be at any angle, but the characteristics of the wheel are similar as it would be if it has a small degree of tilt. If the wheel has four vertical diamonds at 12, 3, 6 and 9 o’clock from your view. Because of imperfections, the ball may mostly drop at diamond at place 12 o’clock and occasionally at 9 o’clock, but very rarely at diamonds 3 and 6. It means the diamond 12 groups a broader range of ball speeds, so even the ball slightly deviates in velocity it still ends at the same place. If the ball passes the diamond D12 and not dropping at DD3, and DD6, it would travel all the way to the D9. It is ¾ or 27 pockets rotations longer. At the same time, the rotor moves about nine pockets at opposite direction. For that reason, the numbers which were at 12 o’clock comes closer to the diamond at 9 o’clock, and when the ball falls there, it would be in the same area. When the rotor is very slow, and the wheel exhibits dominant drop points, even if the dealer spins 1-2 full rotation longer spin results may not deviate much. For that reason, we would be far better off if we know the spin length in time than the number of rotations. It is essential, but I will come back to it later. It may sound like a reasonable question for someone new here if taking in consideration that we also have roulette computers. Wouldn’t the roulette computer be more accurate? If it is why not to use it? Of course, it is more accurate, and we do use it. The player may come across wheel with reasonably constant ball jumps distribution and dealer that spins rotor slow with similar speed. With dealer signature he may be less accurate than using the roulette computer but what if because of no more bets called too early he doesn’t have enough time to clock rotor and ball or at least one of them for accurate calculation. Our roulette computers especially FFZ and FFV are like a Swiss Knife. They have many tools that the professional roulette player may use in different situations. I will exclude peoples lack understanding and making all kind of stupidities where they do not differentiate even in between different ball directions. Strangely it is common in casinos. I assume you have common sense as most of our members do. Therefore I will highlight the most common problems. If you play and place bets, you cannot count ball rotations. Perhaps after putting chips, you can have an idea about rotor and ball speed. If you are not very skilled for a naked eye spins may look very similar. What if the dealer instead of most commonly nine pockets per second moves the wheel ten pockets per second? If the ball travels 15s, it will make a difference of (10-9) x 15 = 15 pockets. Yes, the ball would end almost on the other side from numbers you were expecting. Perhaps the casino dealer spins the ball a bit harder so instead of 15s it travels for 17s. These two seconds difference even if the ball drops at same diamond would cause 2 x 9p/s = 18 pockets difference. Tracking the dealer and believing Mr John on this wheel will spin from number 0 to number 34 is very wrong. Dealers who show consistency in spins may still istant, but the initial velocity may be different from time to time. Mr John’s next time on the same wheel may spin from 0 to number 10 which is nine pockets different from his previous records. Reason for that may be the dealer itself or the parameters on the wheel changed. Just read one of the previous articles “Roulette dealer change and advantage play”. You can see how much spins are shorter because the dealer applied hand cream. To handle such problems and to give to players an option that makes irrelevant who the dealer is we designed a Dealer Signature Timer. It is a 2 step timer. The first step is the time duration of the spin, and player adjusts it to an expected ball spinning duration. The time is only for monitoring; it doesn’t have to be very accurate but close enough. Let say the player adjusts it to 18s. The dealer spins the ball; the player starts the timer. For each of last 5 seconds, the timer gives the signal to the player. After the time of 18 -3 =13s elapses the system alerts the player; it means it is time for the ball to drop. Because this was an estimated adjustment; let’s say the ball few spins dropped 3s earlier from adjusted 18s. (about two signals). The player can readjust the timer to 15s. Now the player each time has control to see if the dealer spins are similar. Say for next 30 minutes the player gets rapid signals and the ball mostly drops right after they end. After rapid zaps, there is a second stage timer. In this case, it would be a signal every 15/3 = 5s. The player checks rotor movement in between zaps. Let’s say for the past 15 spins the rotor in 5s moves mostly one full rotation and five pockets. But now it moves a full rotation and one pocket. It is -4 pockets difference on 5s time, which means for a time duration of the spin (15s) the rotor will move -4 x 3 = -12 pockets if compared to earlier. After confirming it with few observations, the player can start placing his bets 12 pockets earlier. (for more details, please search roulette place forum, an excellent article Evolution of roulette advantage play. Of course, creative people will see may ways and opportunities by themselves, but I still feel that I need to explain an other scenario. A new dealer comes. He has consistency, but his spins are only ~12s. As stated earlier with this timer, we can play any dealer, and we do not need to track them. We can start noticing if his spins end mostly three signals before rapid signals ad shift bets by the time difference of 3 s time’s rotor movement per second. If for example, the rotor makes mostly one rotation and ten pockets, it is five more pockets we can shift observation from starting point by 3 x 5 = 15 pockets…etc. We can readjust stage 1 time to 12s, but keep in mind that the rotor time (stage 2) will change from 5s to 4s. To play based on earlier rotor speed we would expect rotor to move (37 + 5) *(4/5) = ~34 pockets (not 37 + 5 as with 5s time). Now to play as before when observing rotor movement in between signals we expect it to be 34 pockets because the time is 1 s shorter. 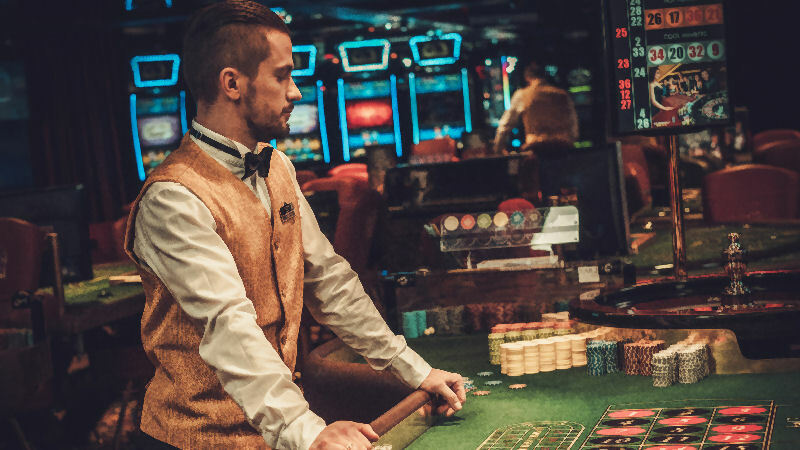 It is a very new approach addressing the problems with roulette dealer play. Often after our development team discussion solutions as this get enhanced. For example first stage one second signals may be removed until last few seconds before the time elapses. It is obvious the timer is not used to predict results but to control the game and to indicate required adjustment. Such play is suitable for many wheels; were earlier bets are the necessity as rapid roulette and some online live roulette wheels. The two-stage roulette dealers signature timer is a must have, for anyone seriously placing bets based on dealer’s signature and spins consistency.